Days relaxing at the beach, going to the gym or traveling to the store will be even more enjoyable when you take along this trendy Personalized Canvas Tote. A great tote bag for handling the everyday trips around town while looking great. 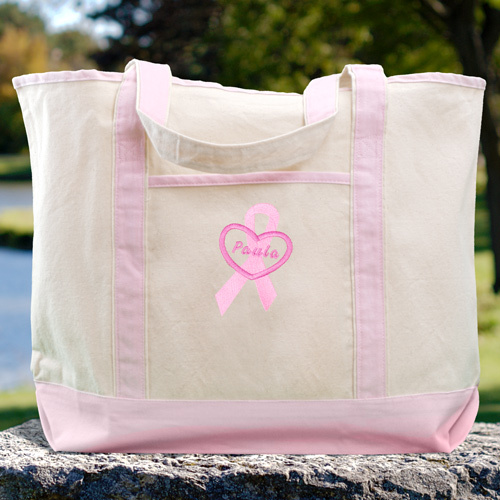 It's natural canvas feel and sturdy pink straps makes this Embroidered Tote Bag ready for some real power shopping.